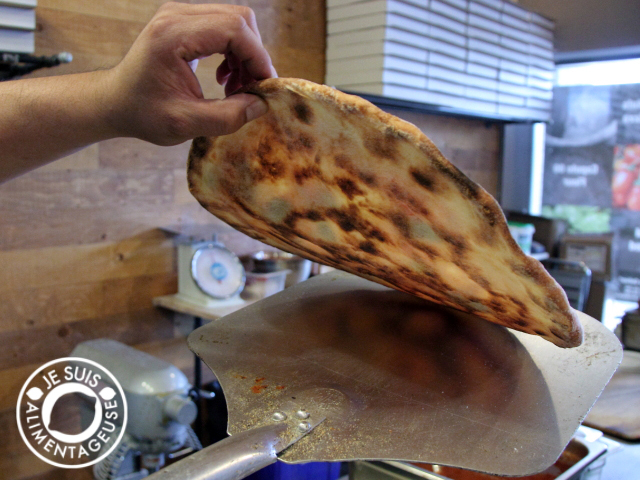 talks about Toronto-style pizza and what makes a good pie. The first time I went in to try the pizza, I was overwhelmed by Mandy (although I didn’t know his name was Mandy at the time). He was so proud of his beautiful funghi pizza he showed it to me for a quality check before he closed the box. I thought he was handing it to me so I reached for it and then he yanked it back and said, “NO! Wait.” And so I waited. He gently ground pink himalayan salt on top, explaining to me that’s how I would get the best flavour, and when I got home, I devoured that pizza, noting that yes, the pink himalayan salt made it better. Since that time, I went vegan so I just didn’t eat pizza for a long time because as a hard-core cheese lover for all of my life, I couldn’t bear to eat pizza without cheese. I didn’t think it’d be the same. The other day I walked past Pizza Del Arte and noticed that he had a special for margherita pizza for about $7, and underneath it mentioned that it could be made into an “Artisan Vegan” pizza for an extra $2. So $9 for some takeout pizza that’s vegan? I’m in. I walked in and ordered the pizza. While I was waiting I decided to ask the pizza maker why my storebought pizza dough would never hold its shape (I would roll it out and then it’d just spring back into a flattened ball). He said that it needed more water, and explained something about proofing and elasticity. Then he took a look at me and nodded to himself. “I know what you would like.” He pulled out a can of chili sauce and while I love my spice, I was a little alarmed by the vibrant jar of chili sauce. “Wait how spicy is that?” I asked. “Where are you from?” he countered, and I knew he wanted to know my background. 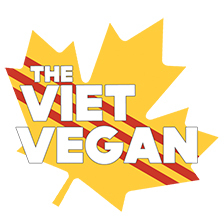 “Oh Vietnam? HAHA! This is nothing to you,” and then plopped generous dollops on top of each slice. As I grabbed my pizza, I asked Mandy if he’d be interested in being on my blog in exchange for some pizza making lessons. He happily obliged. A few days later, I came in and Mandy and his coworker were watching the Cameroon-Brazil World Cup Game. We sat down at the wooden tables in his warmly lit pizzeria, and I got to know Mandy. 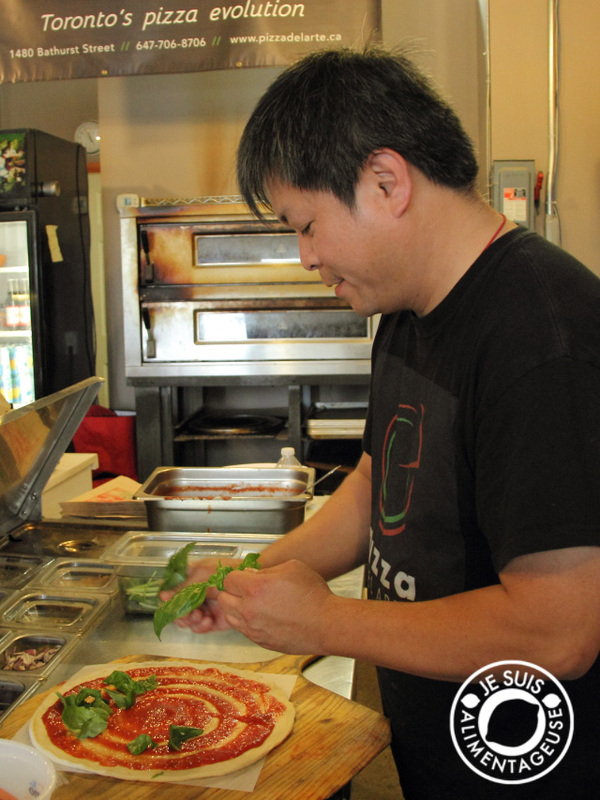 Mandy first started working at a pizzeria in Scarborough when he was sixteen. He worked in various pizza shops over the years, pointing out that when he first started, there was only one Mamma’s Pizza (a big pizza chain in Toronto). 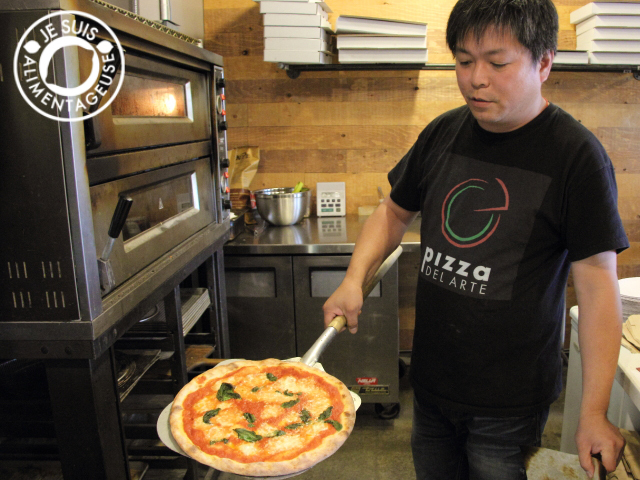 After working for so many years in the pizza industry, he decided to take all that he knew of traditional, authentic pizza and what Torontonians like on their pies and open a pizzeria. According to Mandy, people here like thin crust that still has a crisp bottom that can hold toppings without flopping like Neopolitan-style pizza would. Toronto wants a decent number of toppings, not the “less-is-more” approach that authentic Italian pizza has, but can withstand the weight of quality and fresh ingredients. 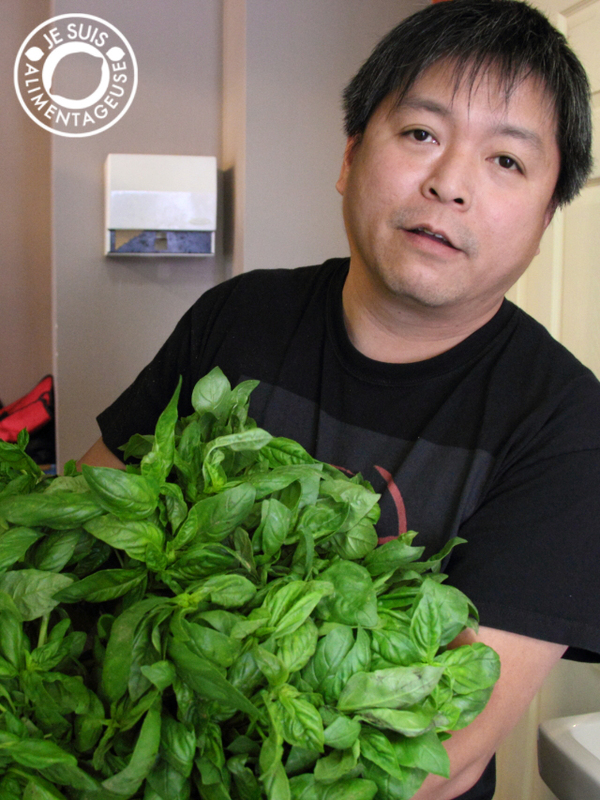 He took me to the storage room and pulled out a giant bag of fresh basil, which lasts between 4-7 days, depending on how busy they are. He showed me all the fresh herbs he puts in his pizza sauce and the tower of baking sheets full of pizza dough made from scratch. While he was explaining this all to me, customers came and went, greeting Mandy with a familiarity that’s often rare in restaurants. I was surprised that he recognized so many. Mandy gave me a non-chalant wave, “He comes in all the time.” You know it’s good when people keep coming back. Mandy had some insight on what makes a good pizza: You have to ask yourself, what is the character of pizza? For example, what is the character of Hawaiian pizza? It’s not the ham. 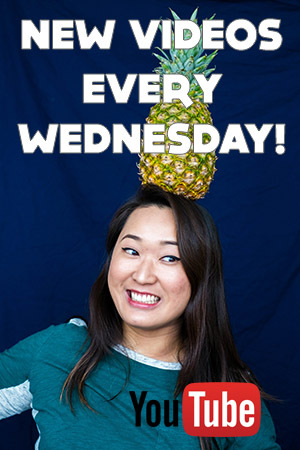 It’s the pineapple. Then you think, what goes well with pineapple? The salt in the ham brings out its sweetness, balancing out the main ingredient. And anchovy pizza. If someone asks for anchovy pizza, I need to overbake the pizza, and recommend eating it with a bitter beer to balance the salty flavour. You need to understand the character of a pizza and its ingredients. When I asked Mandy what is the most important ingredient in a good pizza, he said without hesitation: “The sauce.” And then added more about the overall quality of ingredients. Mandy started to make a couple pizzas for me to see. Zipping through making each pie in about a minute, I barely had time to take a photo and adjust for the changing light. He wasn’t kidding when he said he made pizza fast. He started to make my Artisan Vegan pizza, generously sprinkling olives, spicy eggplant, and fresh oregano (I had never seen what fresh oregano looked like) on top of the San Marzano tomato sauce. After 7 minutes in the oven, he pulled out my pizza steaming and showed it to me. “This is good.” No doubt about it. 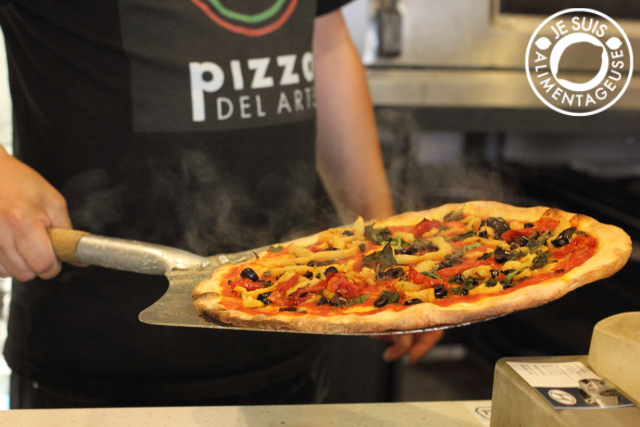 To visit Pizza Del Arte, head to St. Clair and Bathurst. Pizza Del Arte is right beside the Starbucks on the north-west corner. Check out their Twitter too because sometimes he posts coupons on there. Disclaimer: This is not a sponsored post. Mandy just kind of reminded me of my uncle and was so gung-ho about pizza, I wanted to share. Too bad I'm not in Toronto--Mandy's pizza looks heavenly! I enjoyed reading what he said about the character of pizza.